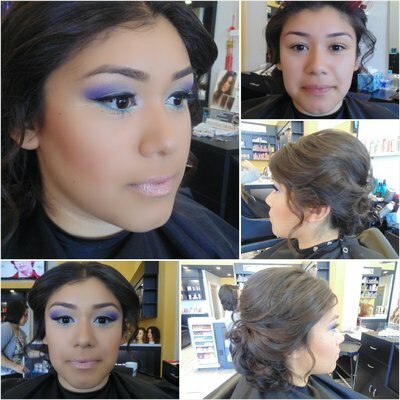 We are a modern salon of professional hair stylists located in the heart of San Jose, CA. Our team is dedicated to our clients and we look forward to meeting you! 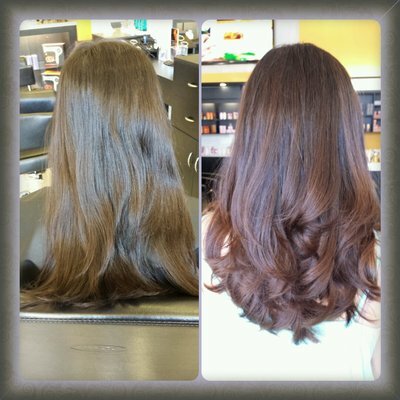 "I only had an appointment for myself, but my daughter and I both ended up getting our hair done. My daughter walked out feeling like a little princess! AND my hair turned out great! 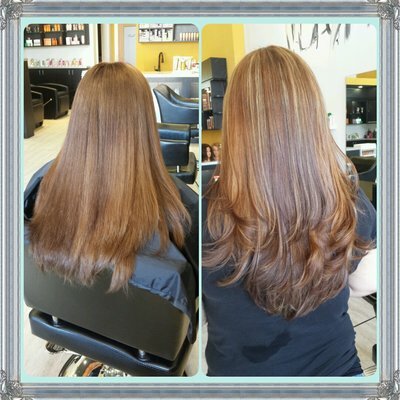 "If you are looking for the place to get your hair done, give them a try. You'll love it. :)"
"This place amazing! 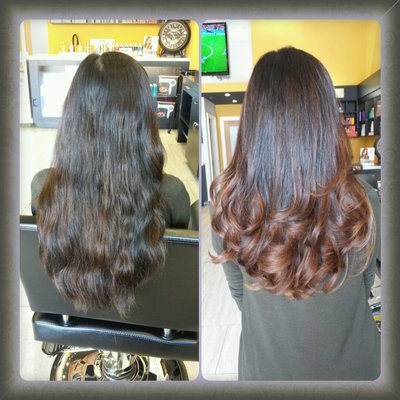 Just got my Brazilian blowout treatment, Tranh and Ana did an awesome job!" 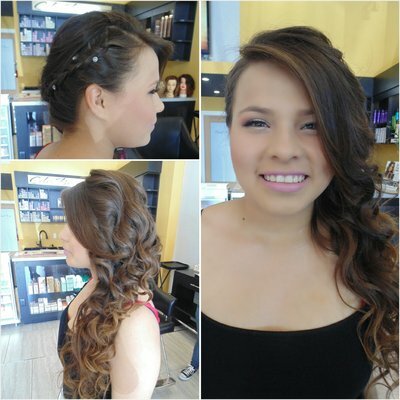 "Thanh has outstanding skills and a passion for what she does. I definitely recommend her! I can't wait to come back so she can color my hair!!" 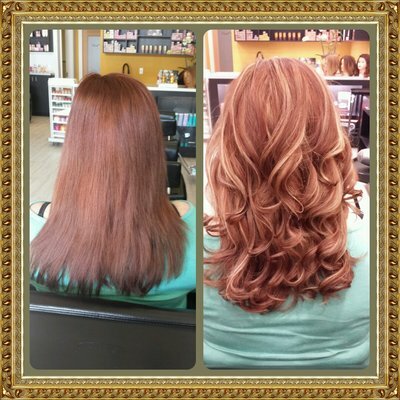 "Amazing hair stylist... I think color for some stylist can be difficult (especially when working with gray hair), and I'm a very particular person when it come to my hair. But my hair look fabulous now! Thank you for good service." "Finally I found a high-end Beauty salon in South San Jose Mall. Professional services, relaxing environment... Parking quite easy around the Salon; great location to have snack, lunch, dinner too." "The location is great, new plaza tons of food and shops. The salon itself is all brand new, top of the line equipment and products. I will absolutely be back!" Freshen up your look at a moment's notice with the latest cuts, styles, color, perms, highlights and more. We offer our clients some of the best hair products on the market today. 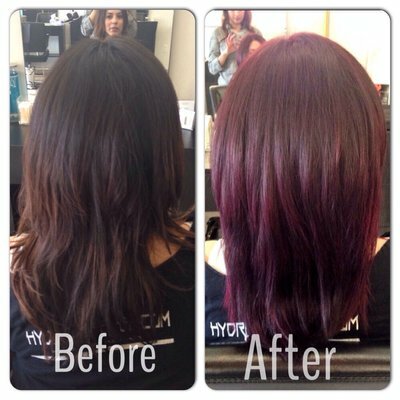 Our stylists will review your hair condition and recommend which treatments and products to use on your hair. Built around the concept of enhancing hair's natural beauty, Kérastase follows 4 basic concepts: performance, expertise, personalization and beauty. Kérastase has a number of hair care collections designed to improve specific hair and scalp needs. These lush products unlock your hair's potential elevating your styling abilities.